Looking for Gutter Cleaning in Missouri City, Texas? Call First Choice Painting & Remodeling today for a fast free quote. Your favorite Missouri City painters also take care of gutters! First Choice Painting & Remodeling has been cleaning gutters in Missouri City since 1997. Our trained Missouri City gutter cleaners have years of experience and have the tools to reach any gutter quickly and safely. As we paint homes in Missouri City, clogged gutters often grab our attention. But even if you don't need a painter at the moment, regular clearing of gutters is essential. 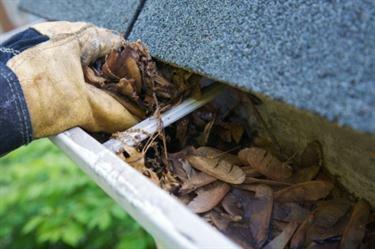 It is important to keep your Missouri City gutters clean and clear of debris. Clogged gutters make great homes for insects and become very heavy when full of water. The added weight will add stress to siding and eaves, and can lead to structural damage. First Choice Painting & Remodeling provides regular maintenance to keep your Missouri City Texas gutters clean. Call (832) 271-4712 for a quote on cleaning your gutters today! First Choice Painting & Remodeling Makes Missouri City Gutter Cleaning Easy! Save time, and avoid injury by having First Choice Painting & Remodeling clean your Missouri City gutters. Call now at (832) 271-4712 for a fast free quote. We'll arrive on time and give you a reasonable quote to get those gutters clear and back in working order. In no time, your gutters will be doing what they are supposed to do; guide water AWAY from your building.